These two are pictures from Nandyala. One is a view of sunset and the other is a view of always busy Byrumal Street during night. Both of these pictures are taken from the top floor of our house at Nandyala. Excellent photos.I can almost hear the sounds and smell the smells.I wish i could stroll back [in time].Miss the good old days. Hey nice to c a website with da name of NANDYALA….i rly luv it so much…currently i’m doin my btech in IIITM,gwalior,madhyapradesh…i’ve done my schooling in a village by name Poluru nearby Nandyal…i spent 2 months in nandyal last summer…that too in byrmal street!!!! 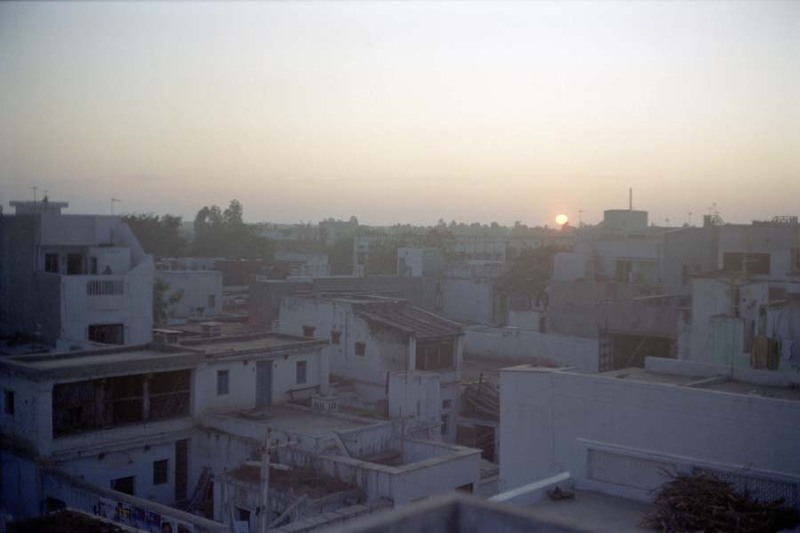 Hey, It’s really nice to see the pictures of Nandyala where i lived for 23 years. For a moment i fell like i was @ my home town and in my own house & own bedroom with my sisters. Yes, The Brigade road of Nandyal is so good, and getting rememberance to go asap. No more waitings, going on UGADI. Being a friend of above phanikumar, i enjoyed those days when he was in birmal st. I was born and brought up in Nandyal. For me this is the most beauiful place in the world. Thanks very much for bringing our place in to light..
Are we classmates by any chance???? I did my schooling from Pulloji Rao school and Rama Krishna High school. This website is great.I’m from Nandyal and from Byrumal street.I like the photos of byrumal street and mahanandi.Where exactly in byrumal street u used to live? It is nice to se Nandyala on the internet. My father is originally from Nandyala though we settled in Hyderabad. My grand father was a freedon fighter who went on to become the MLC from Nandyala in te 1960’s. He later became the chairman legislative council and expired while he was in the post. That is our histroy in brief. My late grand father established a school “Ramakrishna Vidyalayam” in Sanjeeva Nagar where we have our grand parents home. My grand fahers name was Sri Nivarthi Venkata Subbaiah”. I just wanted to share this with you when I saw the webpage. You are doing a great job. Keep up the good work. Really this website is very nice. 1 year ago, on the way of my journey from kurnool to midhukur I’ve seen Nandyala. in mean time i thought Nandyala was NANDHI PIPULU….that’s only I know. But after I saw your website, I feel very happy wow nandyala is too good in sun shine and at night times….it’s really too good…. hatsoff to him/her ….great job! This website very helpful to me for nice cooking…. Thanks for your appreciation of the work we are doing. My wife, Indira, does a lot of work to develop the website for food preparation. I am glad you all liked it. Thanks for the people who worked for this. i love so much nandyal in the world, because i born in nandyal.from childhood upto my degree BCA ,i spent inthis town.my grandfather is the first prson in nandyal,who built the onefloor on the same house. so,he is popularly known as by madimidde naganna.my father name is chintala subbarayudu, he is the muncipal counsilor in nandyal town. Feeling at home after cing all these pics…….I roamed on all those streets for 25 years of my life. I know every nook n corner of that town. I am happy to c the images that you posted on website. Plz let me know if you could post more photos that I have with me about Nandyal in this website. Thanks for your comments. I can definitely post some more photos. I will contact you directly via Email for the photos. In simple words, your site makes me feel at home and makes me feel proud that someone from our place is doing such fabulous work. My husband, vijay’s native place is Nandyala, i’ve visited Nandyala many times, even in this May during my India trip. Their house is in a place called ‘kota’, my hubby was showing me all the places he used to hang out, and famous eateries around the place. By the way, did u guys come here for education initially? Indira, ur cooking site is very inspiring to me. Sometimes i get bored of cooking and it feels homelyand refreshing to browse ur site. Please add more recipes of everyday cooking. I got an idea the other day while watching foodnetwork television. Most of the programs are italian based and non vegetarian, There is not a single show on “Vegetarian food”. when it comes to vegetarian food, i think Indian cuisine has thousands of tasty items. I seriously think that u r one right person to host a show, u’ve very creative ideas, outspoken, fluency in english. Plz give it a thought, there is a program called ‘ next food network star’ going on where the winner will get a chance to host his own show on food channel. Andhareke Namaskram, Ee-website chuse naaku chala anandam ga unde. SINGARI VIJAY gareke na kruthegnathalu, Nhenu ROTARY CLUB OF NANDYAL Sabhyunee, and the Manager of www.bloodonsms.com (Rotary International Dist-3160 Area)Andhra & karnataka. Please browse the above website and register as a blood donor. Can u send me ur details to email id, pls keep send this type photos, u have done excellent job, i have completed my school education in Khaleel siddiqui high school,Intermediate in Sri Balaji Junior college, and Degree in National Degree college, really it is nice to see greate Nandyal pictures. Thanks a lot to u Mr.Vijay. One of my friends name is Viajy. I am also from Nandyal. Nice to see our place in this web site. I did all my studies in Nandyal itself. After seeing this, I recollected my sweet memories in my home town. I came from Nandyal (diwali festival) this morning. Now i am working in Tamilanadu. I like Mahanandi very much. Though I have been brought up in Hyderabad and now settled in Mumbai,my parents and grandparents, wife and in laws are all from Nandyal. In fact both my sons are born there though we are settled in Mumbai right now. I like Mahanandi very much and the route from Nandyal to Mahanandi is really good besides Ramalayam complex, new saibaba temple. Your pictures were good. Keep it up. You have done very good job. I also studied at B.S Vidya Nilayam (8th-10th) during 1989-92, inter at Nandi Junior College, and degree at SRK College. Now I am in Vizag as a SW employ. Nandyal vallam kadaa chakkagaa telugulo matladithe entho baagungtundi kadaa!!! mee nunchi marinni photos aasistunnanu…bye. I’m very happy to see a fellow Nandyala vaasi. Thank you for your comments and all the best. i love nandyal because it’s my hometown. Its Nice to see you here, being a person from nandyal. Hi all i am a native of a village 10km from ndl, I love love love love love Nandyal very much my grandparents live in ndl, I love the cinema theatres (pratap, ramnath, raj,kaleel)the banking system(SBI) , the RTC bus stand ,Atmakur Bus Stand, Padmanandi temple, Chamakaluva bridge which was liad by PV Narasimha Rao. the Railway Station, Bommalastram, Muncipal high school cricket ground, Govt degree college Cricket ground,Saibaba Temple, Venkateswara temple, Ramalayam, Chanakya hotel last butnot least Nandi Pipes etc. i have created this website www.echaritra.com so as to bring the corruption to a zero level, please contribute ur stories. I know lot of stories about the Driving license office please post ur story. Hi, I am Anwar from Nandyal since 1975 to 1996. Presently reside in Hyderabad. In my childhood my town was compare with just gold, but in recent days there is none of that Nandyal of my memories. Present Nandyal is filling with the new kind of peoples, new language, new food…… everything new, a lot of change. I am an artist presently working with Saakshi Telugu daily as an illustrator. I am proud to be the illustrator from Nandyal, Rayalaseema. Nice to hear that you are also from Nandyala. I think I will also have to agree with you on how things are changing in Nandyala. But childhood and hometown memories will remain forever. Congratulations on your job with Saakshi! I’m very sorry that your comment got deleted. There was a database corruption and I lost some data. I’m extremely sorry about that and for losing your valuable comment. I tried to recover it, but could not get it back. Nice to see this site. As suggested, please try to publish more photos of nandyal. I was broughtup in NDL, had my education from 1st class to Intermediate, in St.Josephs’s school and National Jr College. So I had very good and sweet memories with Nandyal. I ‘DO’ remember my friends(only some are in contact now),my teachers and lecturers. Now I’m in NewJersey and my parents settled in Vijayawada, so dont know when I can visit nandyal again. Good work, keep it up and let me know for any help to develop the site. i need ramakrisna degree college’s contact number pls if anybodya knows pls tell me. dear all iam very happy that our native place is liked by somany people.iwish the author all the best and thank u for doing this great work . Hi, this is kiran, I born n bot up in Nandya, Now I am in New York, I felt very happy to see my home town photos, could you please add some more photos then we can enjoy at least by seeing my home town. Hi find more info about nandyal and mananadi phots in the below link. Vijay you have done an excellent Job. Y cant u develop this site with some features like USER LOGINS and Chat Rooms. So, all our Nadyal people can chat and meet here. Nandyal is centre of all my journeys though… (Festivals, holidays and now trips). I love nandyal very much around 15 years i have been there in Nandayl right now i am in Hyderabad. After seeing the pics …I remembers atelst few min the Golden days of mine. this is the good idea , please show other photos also. I like nandyal very much.Nandyal is a famous spiritual center.Lot of temple are there around nandyal. heart of the kurnool district in business wise as well as education wise. I completed my schooling & college in nandyal itself.Currently I am working in chennai. ndl is my home town..beautiful place. Hi friends, Its really very nice to see the details of our native town. I personnally appreciate the person to his job done upto this level. I wish all the best to the viewers and share their views. East or West Nandyal is only the best. IAM RESIDENT OF NANDYALA …………MY MOTHER LAND I LOVE IT…………. Wow these are most beautiful pics.. I always remember about my time in Nandyala. I am planning to visit Ahobilam with family and stay at Nandyal. Can anyone share some feedback about whether Chanakya Hotel is a good place to stay? Our requirements are simple - clean room / beds / bedsheets / bathroom, good food and safety/security. Hai all I born bought up in nandyal.Presently i am in Melbourne. I miss nandyal. Recently i been to nandyal. I Love that place very much. And i miss my friends we studied in B S Vidhya Niliyam Balaji Complex. 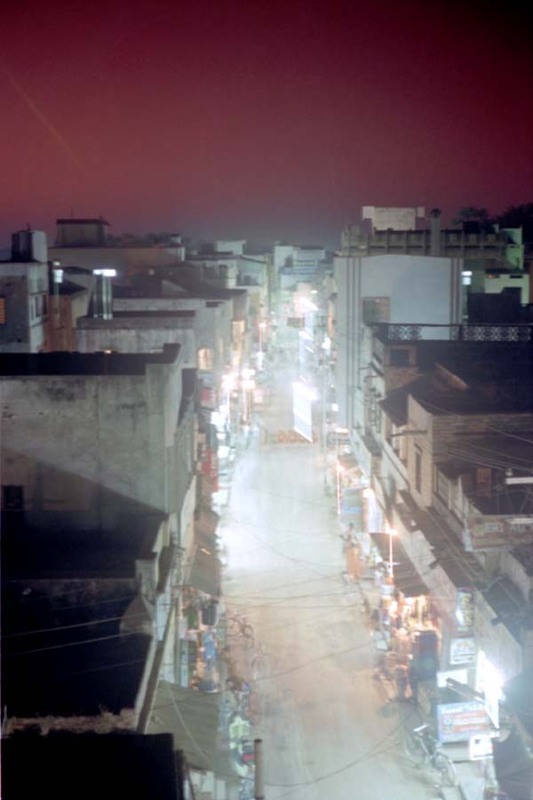 Streets of nandyal……….. And i Live besides PVS Bakery near byrmal street. Thankyou. birmal street, I had great time over there. himmath gadi illu akkadey super house ’sagar steels rokzzzzzzzzzzzzzzz’. super place in nandyal upload more photos like this if its possible……………. nice to see nandyal in the internet… i was born in nandyal and stayed for 21 years, now i am staying in bengaluru… i am missing nandyal very much….